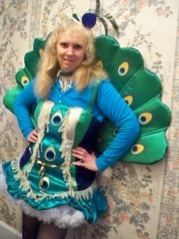 The Adventures of Purdy Peacock brings good Cheer for Everyone! Click this line to see Author Debra Joan Buck's incredible resume. Now you can listen to the Adventures Of Purdy Peacock on your iPhone, Ipod Touch, iPad or favorite MP3 player or on your CD player in your car or home. Your kids will want to listen over and over again and hear the heartwarming stories. 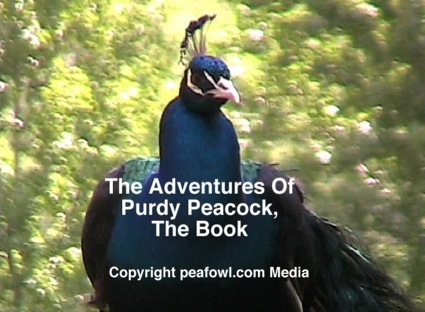 The Adventures Of Purdy Peacock will inspire adults of all ages with the encouraging adventures in his first ever audio CD. This CD will make a good companion to his DVD of the same title. So don't delay and order it today! Order your Audio CD today for only $14.99 sent by USPS Priority mail (USA only). Now you can read to the Adventures Of Purdy Peacock at home. Your kids will want to read it over and over again and enjoy the heartwarming stories. The Adventures Of Purdy Peacock will inspire kids & adults of all ages with the encouraging adventures in his first ever book. This book will make a good companion to his DVD and audio CD of the same title. So don't delay and order it today! Order your book today for only $19.99 sent by USPS Priority mail (USA only). Now you can read The Adventures Of Purdy Peacock The eBook on your iPhone, Ipod Touch, iPad and computer . Your kids will want to read it over and over again and enjoy the heartwarming stories. The Adventures Of Purdy Peacock will inspire kids & adults of all ages with the encouraging adventures in his first ever eBook. This eBook will make a good companion to his DVD and audio CD of the same title. So don't delay and order it today! The Adventures Of Purdy Peacock The eBook come to your homes or work by way of your computer's internet connection. 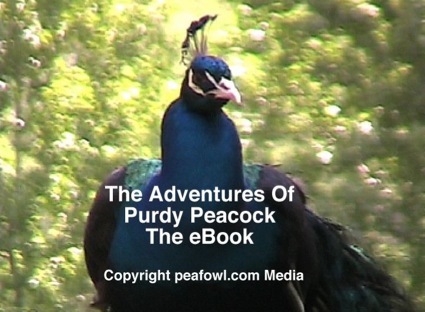 You will be able to save The Adventures Of Purdy Peacock, The eBook on your computer, iPhone, Ipod Touch, iPad to read at any time you want. It comes in a PDF form read only. Your computer must have the adobe acrobatic reader installed for PDF's. It can be downloaded for free for the type of computer you use by going to adobe.com.